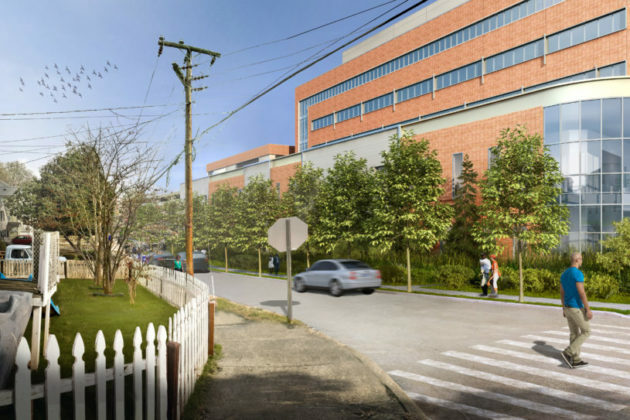 The Arlington County Board narrowly approved the Virginia Hospital Center’s expansion plans yesterday (Tuesday), clearing the way for the $250 million project to move ahead despite persistent concerns over its design and impact on the community. 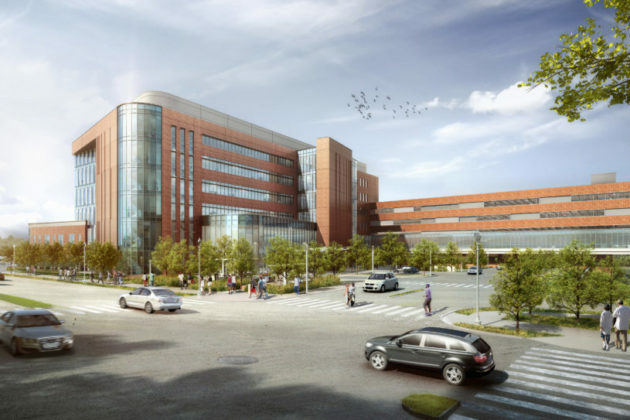 In a rare 3-2 vote, the Board signed off on designs for the county’s lone hospital to add a seven-story outpatient facility and a 10-story parking garage adjacent to its existing campus at 1701 N. George Mason Drive. The additions will help the hospital add another 101 beds to its existing building, a move that VHC officials argued was urgently necessary to meet rising demand in the area. The Board will now send the hospital a piece of county-owned land on N. Edison Street to power the expansion, and receive a some hospital property on S. Carlin Springs Road in exchange. 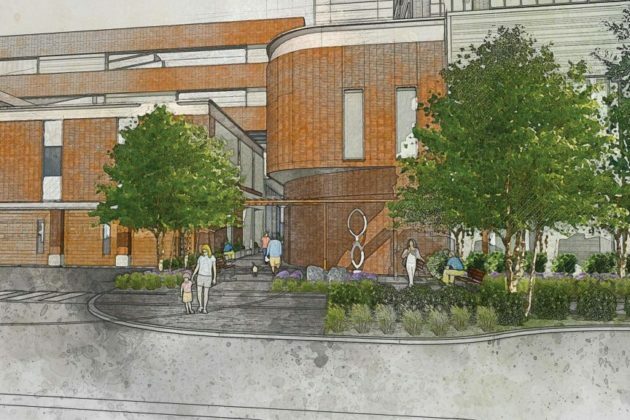 The Board was previously set to approve the expansion plans in September, but opted for a delay instead to give the hospital a chance to tweak its designs a bit. A narrow majority of the Board felt that VHC’s planners managed to meet those standards over the last two months, while Board members Erik Gutshall and John Vihstadt argued that the hospital failed to meet the specific requests the Board previously laid out for design changes. Others on the Board expressed similar concerns, but none of the other three members were willing join Gutshall and Vihstadt in delaying the project once more. The Board had also urged VHC executives to do more outreach in the community and ease concerns about everything from traffic to the size of the new facilities. 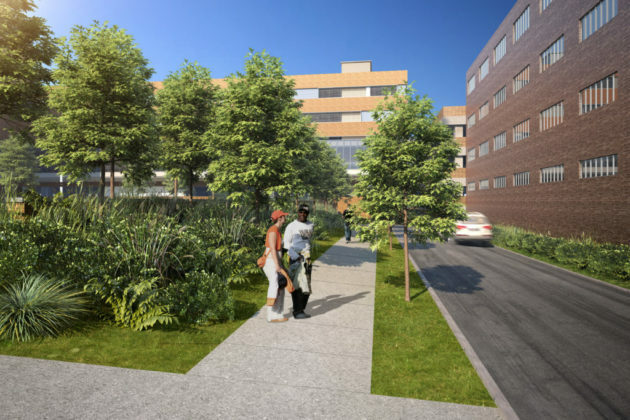 The hospital held several community meetings with nearby civic associations and other neighbors since the Board’s last vote, but the Board still expressed plenty of concern that the hospital didn’t do enough to fully engage the community. But some Board members had specific critiques of the design as well. Those primarily centered on a pedestrian walkway running from north-south through the site, starting at 19th Street N. and running toward 16th Street N., and the traffic pattern on N. George Mason Drive as it runs alongside the hospital. 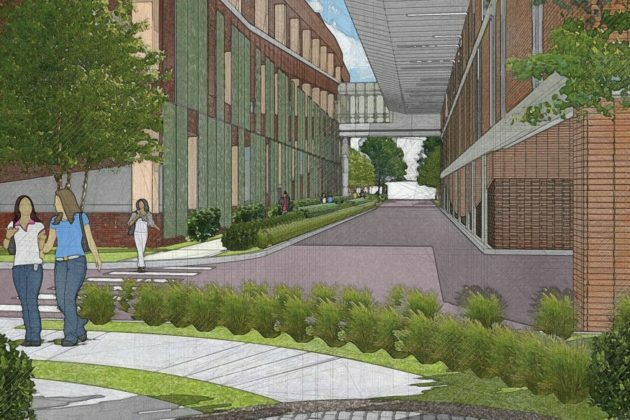 The Board’s September motion specifically requested that the north-south walkway be at least 15 feet wide and two stories in height, in order to create a better flow of both pedestrians and light throughout the campus. Yet the revised design presented a path that wasn’t quite that wide, and had a pedestrian bridge running over top of it along one section to restrict the open air standard the Board laid out. “It doesn’t seem to me that it really meets the gist and the intent of our motion,” Gutshall said. Nan Walsh, an attorney for the hospital, argued that VHC’s architects did the best they could to meet the Board’s standards, but ran into a series of intractable problems. 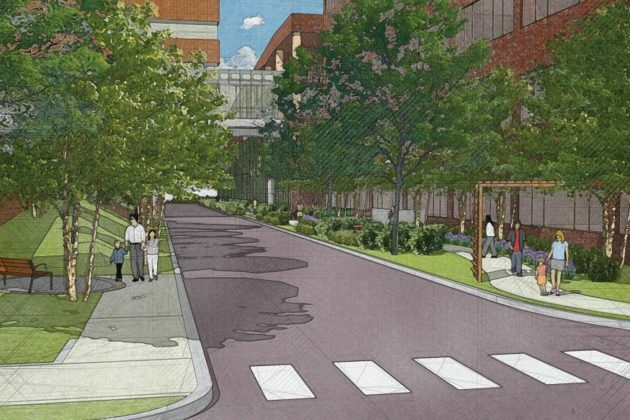 Widening the pathway, for instance, could’ve forced the hospital to move its parking garage too close to neighboring homes, or forced the hospital to cut more than 200 spaces from the structure, Walsh said. The latter option was particularly unpalatable for VHC, as it had already removed hundreds of spaces to meet the concerns of transit advocates. “We have sharpened our pencils for the last two weeks and we really feel we’ve gone about as far as we can go,” Walsh said. 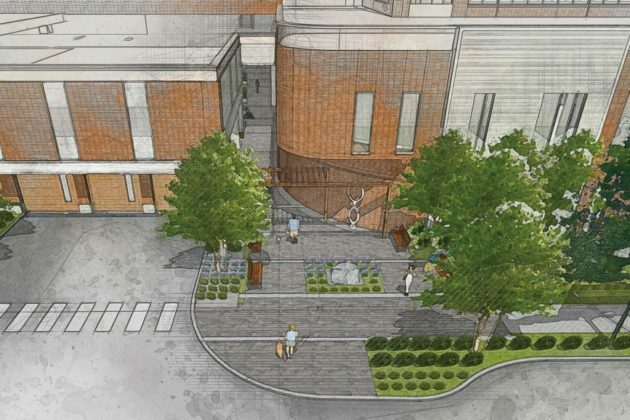 County planner Matthew Ladd did reassure the Board that the walkway struck him as a “major improvement” over the hospital’s original design, and most members were inclined to agree. Yet Gutshall couldn’t find a third vote for the delay, and he relented. But he did warn the hospital that, as it considers the full redevelopment of its campus in the coming years now that this expansion has been approved, there may be more painful meetings in its future if it doesn’t change its approach.